Cataracts cause clouding of the natural lens in your eye, which results in blurry, dim vision that worsens over time. An intraocular lens (IOL) implant placed during cataract surgery replaces your eye’s natural lens and restores clear vision. The cataract specialists at Rocky Mountain Eye Center offer cataract surgery with premium IOL implants at their top-rated surgical center in Missoula, Montana. To learn more about cataract surgery and premium IOLs, call or book an appointment online today. A cataract causes the normally clear lens of your eye to become cloudy as proteins in the lens clump together. The condition normally affects both eyes. When you have cataracts, it’s a bit like looking through a frosty or fogged window. Cataracts typically worsen over time, making it difficult to read, drive a car (especially at night), or perform other routine daily activities. It’s a common condition that affects about 50 percent of adults by age 80. What are the Advantages of Premium IOLs? Aspheric IOLs: Traditional IOLs have a spherical design, but the natural lens inside your eye doesn’t. An aspheric IOL more closely mimics the natural shape of your lens, which varies in curvature. This is important because a spherical IOL may cause minor optical imperfections that can affect your quality of vision, especially in low-light conditions. 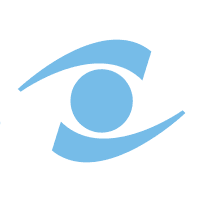 Toric IOLs: Toric IOLs correct astigmatism, which involves an uneven curve in your cornea. The toric lens improves vision by reducing or eliminating corneal astigmatism. Accommodating IOLs: The design of conventional IOLs provides clear vision for a single focal point, usually far away. This means you still need to wear glasses when reading or working on a computer. Accommodating IOLs change shape or move within your eye, which allows you to focus at different distances. Multifocal IOLs: Multifocal IOLs help you focus on near and distant objects at the same time by incorporating added magnification in certain parts of the lens. This type of IOL may provide better near vision than the accommodating type, but are also more likely to cause blurry vision or glare at distances. What is the Right Type of IOL for Me? Your expert cataract surgeon at Rocky Mountain Eye Center helps you decide if you’re a good candidate for premium IOLs during your preoperative exam and consultation. If so, they discuss the best type to provide you with the sharpest vision possible. In some cases, they may recommend using a different type of IOL for each eye. To learn more about premium IOL options, call Rocky Mountain Eye Center or book an appointment online today.